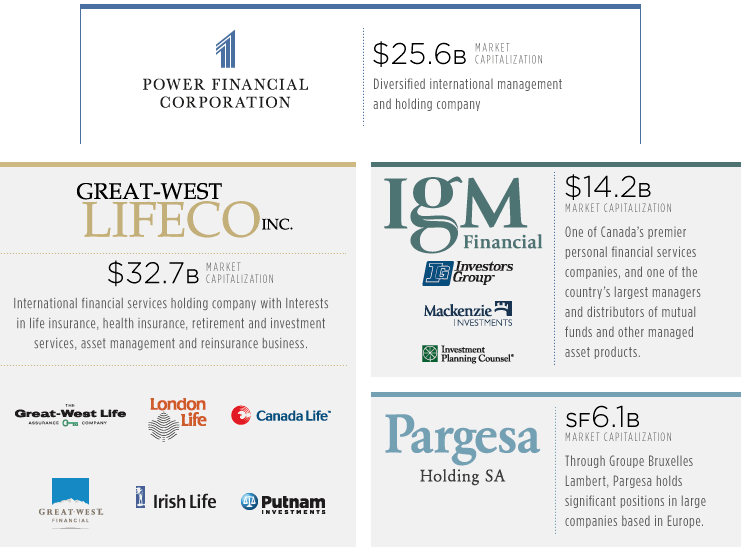 I own Power as well as Great West Life - I used to work for GWO, so was involved in their share purchase plan and have just held. Bought Power back in 2009/10 after the stock market tanked - I forget exactly what I paid now but have been collecting nice divvies ever since and I think I paid around 26 bucks for it, so overall nice steady increase. Would love to see some divvy increases in the future tho. Two great stocks. I simply bought POW to hold all of its franchises at once. But I've recently added some PWF to accentuate my position in insurance. I could have also bought Great West directly. Apparently POW has decided to skip a dividend increase today. I'm glad PWF decided to increase it though. I will have to look closely to find out why POW chose not to. Thanks for coming. You answered the question why POW and PWF aren't more popular - no dividend raise since 2008. I owned PWF for a couple years, but when a raise didn't come, despite strong results, I exited thinking management didn't see rewarding shareholders as a priority. I'd be interested in your take in Suncor's long-term prospects if oil was to stay around its current prices. Funny I just read an article from the Globe and Mail. Here's a quote from it : "Power Financial used to steadily increase dividends, typically twice a year, every year. “It was almost like clockwork for a long period,” said CIBC World Markets analyst Paul Holden. From 1998 to 2008, the dividend increased more than six-fold, adjusting for stock splits." I guess it tells you something. It's not for lack of wanting to reward their shareholders. POW and PWF are carefully managed companies. The crisis hit them hard. They would rather be there for a long period than a short one. Hence the absence of dividend increases. I much prefer no increase than a dividend cut. I'm confident oil won't stay at its current price for long. I'm invested in Suncor for the long haul. It's a well diversified company and the biggest one we got in Canada. I'm still surprised to see how well the stock is doing considering the turmoil (no pun intended). I guess the dividend keep it afloat. Yeah, Suncor is for the long run. Thanks for coming here. All there best. 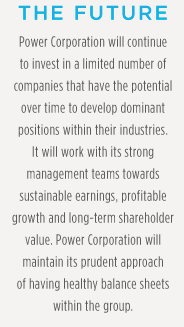 Power Corp is near the top of my wishlist to add to my portfolio...the more I read about it, the more I like it. Thanks for sharing. Thanks for coming by H2R. A lot of analysts are expecting POW to increase their dividends next quarter, just like PWF just did. Both POW and PWF shares are at their year high though. Still relatively cheap compare to others... A little bit like ATCO! Nice! Those 4 powerhouse stocks in your portfolio looks stable enough to provide not only immediate cash flow, but generational wealth over the long haul. My personal "pet stock" is JNJ and I intend to add more of it. I cannot agree with more with JNJ as a pet stock. It's my biggest holding too with a weight of more than 10% of my total portfolio. Thanks for coming by. I loved POW for a long period of time. But as dividends didn't raise since 2008, I don't feel as comfortable towards this stock. As a dividend growth investor I want consistency in dividend raises. I totally understand your position. But, I think it hasn't been too hard to wait meanwhile with a 3-4 % dividend yield. I much prefer no raise than a cut. I will stick with POW for a long time. Thanks for coming by!